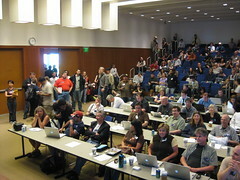 If you Twitter with hash tags, mention #wordcamp2008 (with the "#") in tweets about the event. See wordcamp2008microformats tag on Flickr. "I’ve been using Microformats on all recent projects and was happy to learn more about how they have become, and will continue to be, an awesome tool for making data more useful on the web." 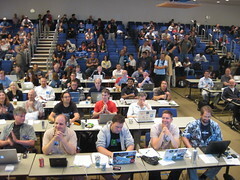 "Prior to his talk I have to say I was somewhat unfamiliar with the concept of microformats. His presentation gave quick light to the topic and understanding about how valuable being able to utilize and access semantic data is"
"I really enjoyed this talk as it opened my eyes to a number of cool features supported by WordPress that I’m not using, and it made me more aware of the topic of Microformats and their pervasiveness on the web." 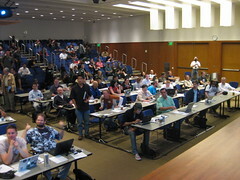 "I thought at first he was going to tell about Twitter or Friendfeed, but Microformats are way cooler and more functional. Something to check out."